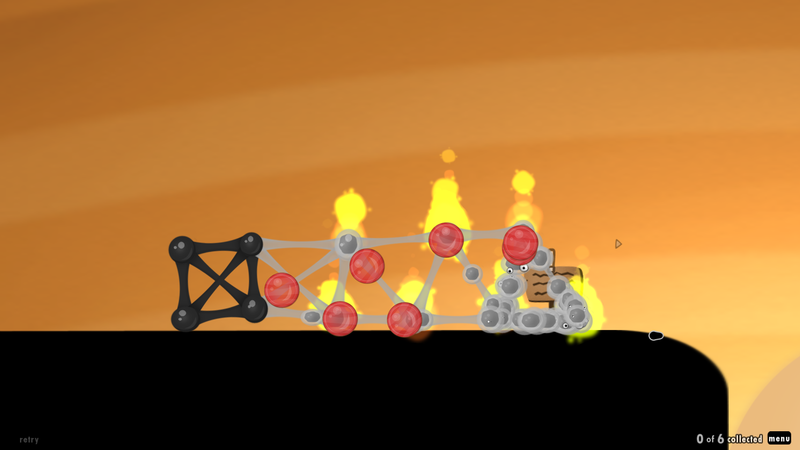 This Level Has A Brand New Goo: The Lantern Goo! 4. I did not know the lantern goo were detachable until the end, there should be a better indicator saying that they can be detached. For example, somewhere in the sign it should say "don't worry about wasting resources, these gooballs can easily be detached from each other"